2. 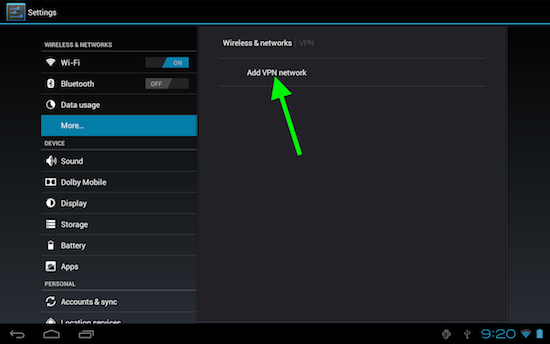 Under "Wireless & networks" click on "More..." and select VPN. 3. Click on "Add VPN network". 4. 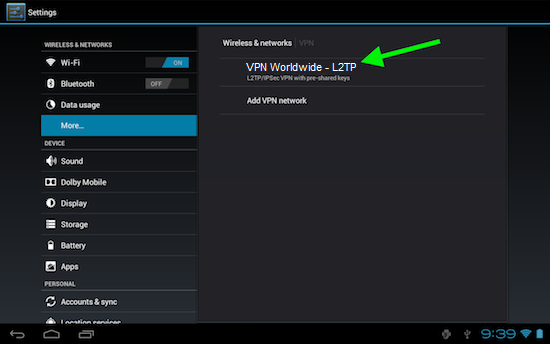 Set name as "VPN Worldwide" and type as "L2TP/IPSec PSK". 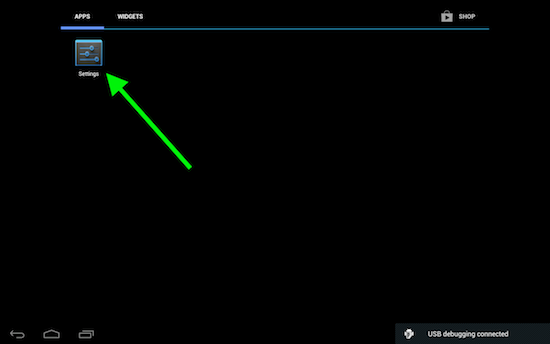 Enter the server address of your choice from the list of server addresses in your Welcome Email. 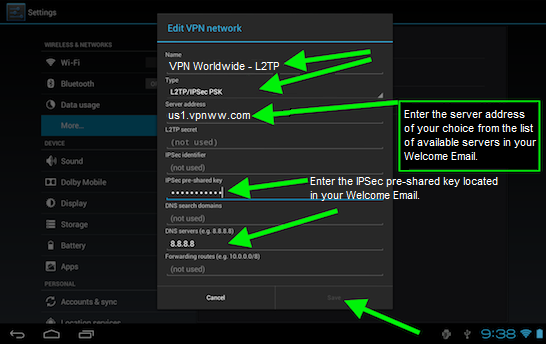 Enter the IPSec Pre-Shared Key located in your Welcome Email. Set DNS server as "8.8.8.8" and Click "Save". 5. 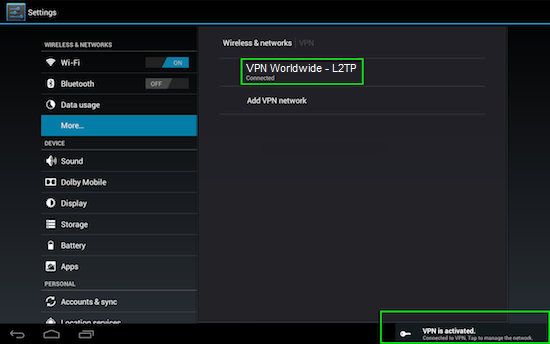 Click on "VPN Worldwide - L2TP" connection. 6. 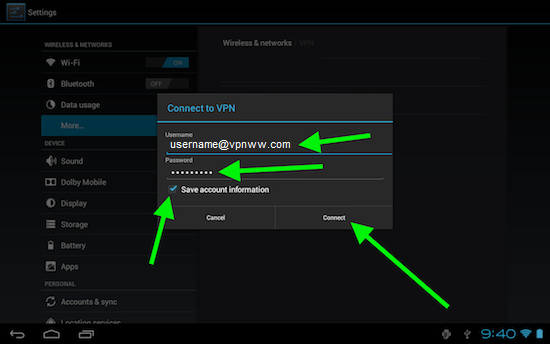 Enter your VPN Worldwide username and password and enable "Save account information". Now you can connect by clicking on "Connect". 7. Wait for the connection to establish and Enjoy!